The Spanish housing market expanded by 7.7% in May (7.3% seasonally adjusted), according to the latest data from the Association of Spanish Notaries. There were 51,896 sales in total, including social housing, with resale apartment transactions up 6.7% whilst new flat sales were down 12.7%, and single family homes up 16.3%. 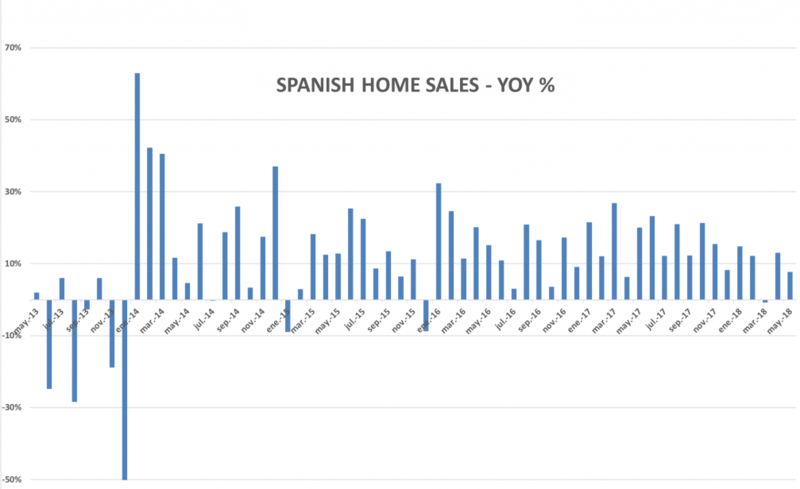 The Spanish housing market is now into its fifth year of expansion since the market turned the corner at the start of 2014, as illustrated by the chart below.